Despite being kids movies, Disney films have a reputation for including dark elements like the death of a parent or villains hiding behind a pretty face. But the original stories many Disney movies are based on are even darker and more gruesome than what makes it into the final animated feature. We've already gone over the twisted tales behind Cinderella, The Little Mermaid, and other popular animated films, but we've got even more dark stories that inspired Disney movies. Here is Screen Rant's look at Dark Disney: The REAL Stories Behind Popular Disney Movies. In addition to the 1953 Disney movie, the studio released a sequel in 2002 and spun the story off into an entire franchise surrounding Peter Pan's pixie friend Tinkerbell. 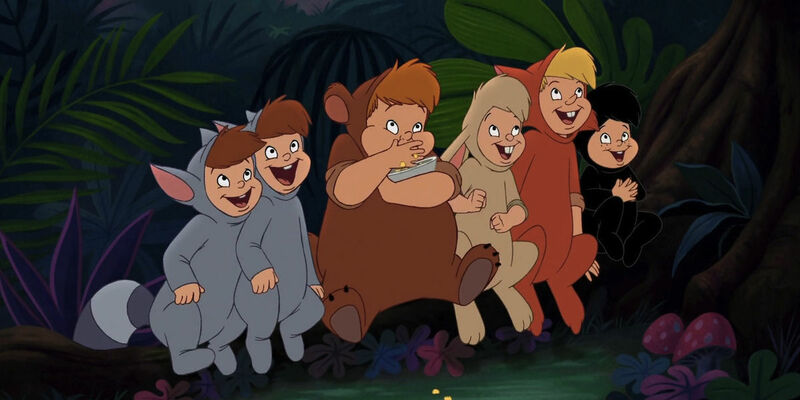 However, the one question Disney's Peter Pan skips over is what happens to the Lost Boys when they decide they want to grow up. Maybe Peter sends them home? According to the original novel by J.M. Barrie, that isn't the case; instead, "when they seem to be growing up, which is against the rules, Peter thins them out." It may not explicitly say Peter kills the Lost Boys when they get too old, but the phrasing is too menacing for it to mean anything else. So Neverland isn't just fun adventures and avoiding responsibilities, after all. 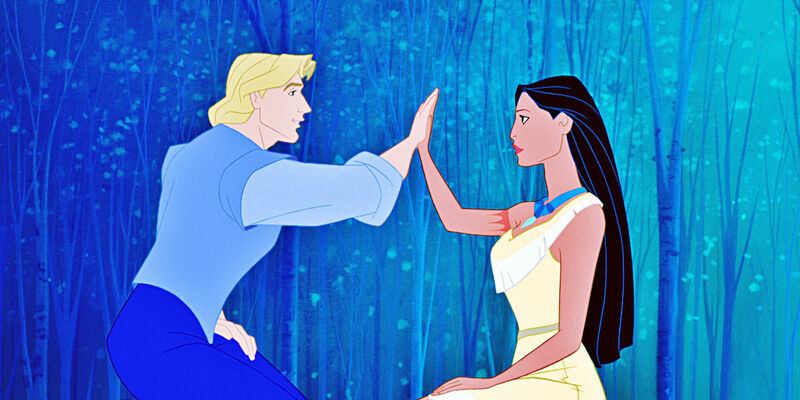 Borrowing the basic story structure of star-crossed lovers from Romeo & Juliet, Disney's Pocahontas tells the story of colonist John Smith and Native American Pocahontas who fall in love despite their different beliefs and a language barrier. When Pocahontas' father captures and plans to execute John Smith, Pocahontas saves him and manages to unite the Native Americans and colonists. Of course, according to history, that's not how it actually went. When John Smith arrived in America he was in his mid 30s while Pocahontas was around 10 or 12 and they never had a romantic relationship. Instead, Pocahontas was kidnapped and forced to marry the Englishman John Rolfe as well as convert to Christianity and change her name to Rebecca. This story doesn't have a happy ending: Pocahontas died in her 20s from unknown causes. We may like the version of this story that includes learning to paint with all the colors of the wind, but history wasn't as kind to Pocahontas. The third film from the Disney Renaissance, Beauty and the Beast, stays close to the original text of the fairy tale about a beautiful and kind young woman who falls in love with a prince that has been transformed into a beast. However, some changes were made from the original story, like the inclusion of Gaston, and Belle's father being portrayed as an inventor rather than a merchant. Another big change is the exclusion of Belle's two wicked sisters. 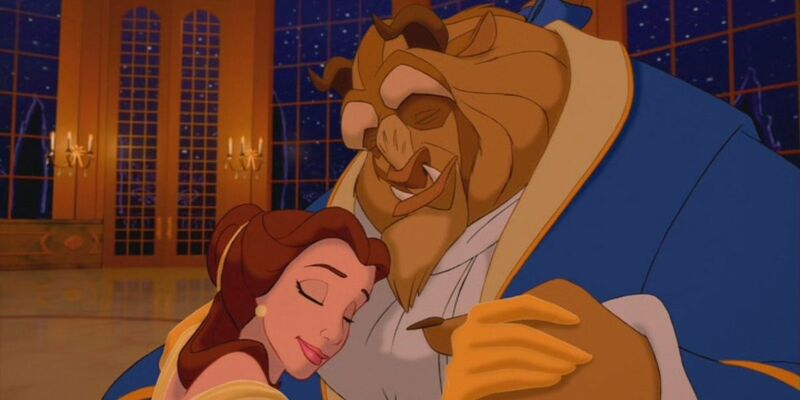 In the original story, Beast allows Belle to return home to visit her family for a specific amount of time, but when her sisters see that she's well-dressed and well-fed they ask her to stay longer hoping the Beast will be so angry with Belle that he'll eat her alive. And you thought Cinderella's stepsisters were wicked. Although the sisters are successful in keeping Belle away from Beast, she finds out that staying with her family has caused the Beast to nearly die of heartbreak. She returns and they live happily ever after. Disney's film about a fox named Tod and a hound dog named Copper is a tale of friends who grow up to be enemies because of their own natural animal instincts and the pressure of their owners. This Disney movie doesn't necessarily have a happy ending, but it is much less sad than in the original novel by Daniel P. Mannix. 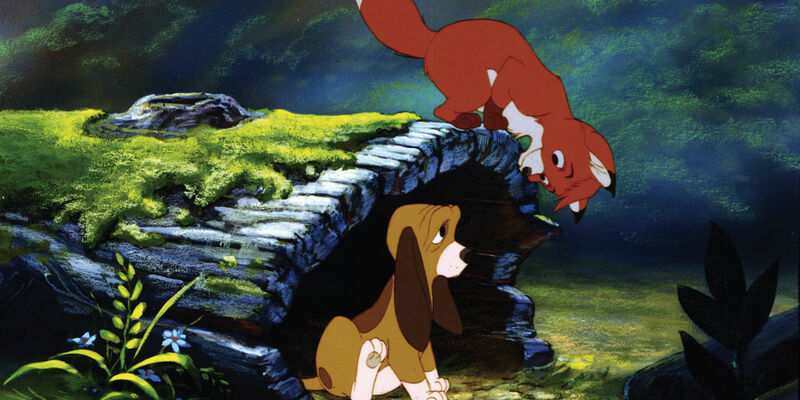 In Disney's version Tod saves Copper from a bear, then when Copper's owner tries to kill an exhausted Tod, the hound dog protects his old friend and the two live happily, if separately, ever after. However, in Mannix's book, the Hunter trains Copper to track Tod after the fox cased the death of another of the Hunter's dogs. Copper ends up chasing Tod until the fox collapses from exhaustion and dies. Then, when the Hunter moves into a nursing home a few years later, he kills Copper with a shotgun. If you thought Disney's version of The Fox and The Hound was sad, at least they changed the original ending of the story, which is so much worse. Disney's The Jungle Book is the tale of an orphaned boy raised by a friendly bear named Baloo and the panther Bagheera. 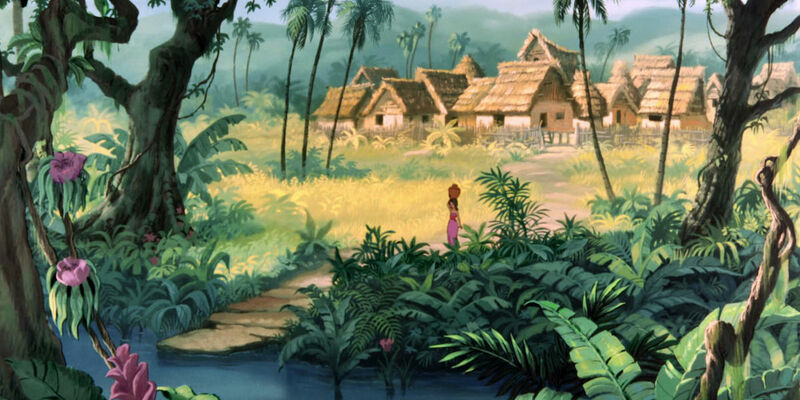 After a series of trials in the jungle and being pursued by a man-eating tiger, Mowgli returns to civilization in a nearby human village. However, in Rudyard Kipling's original books, that's not where the story ends. Mowgli is introduced in Kipling's collection of stories titled The Jungle Book, but one short story in The Second Jungle Book sees Mowgli banished from the village after he's accused of sorcery, with the villagers planning to torture his animal family. To get revenge, Mowgli enlists the animals of the jungle to destroy the village's fields and food supply before eventually setting loose a herd of elephants that destroy all the village huts, sending the villagers fleeing. He didn't even leave the bare necessities. The story of the Chinese heroine Mulan dates back centuries and each version follows roughly the same storyline: when the army calls on a member of each family to serve, Mulan takes her father's place because he is too old and her younger brother is too young. Mulan fights as a warrior for 12 years and only reveals herself as a woman to her comrades after being welcomed home by her family. 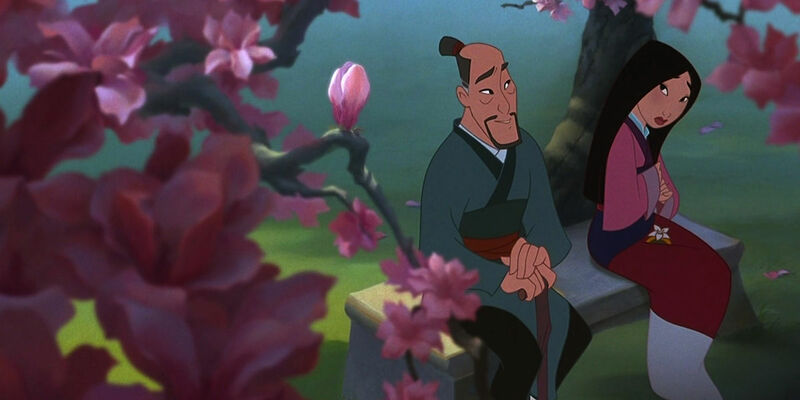 However, one tale features a different ending in which Mulan returns home to find her father has died and her mother remarried. Although that's bad enough, it gets even worse: Mulan is summoned by a foreign ruler to be his concubine and instead of going, she commits suicide. Not the happiest ending for such a renowned warrior, but fans will be happy to know this ending only appears in one version of the Mulan legend. Disney's story about a young girl kept in a tower who just wants to see the source of the mysterious lanterns in the sky is based on the folktale of Rapunzel. The most famous version of this tale was written by the Brothers Grimm, which was violent enough since it featured the Prince in the story going blind after falling into some thorn bushes. However, the villain in this tale, Dame Gothel, gets a fairly tame comeuppance compared to the 17th century Italian telling of the story. In this version, the girl is taken as retribution for her mother stealing parsley out of an ogress's garden. The rest of the story is similar to the one we all know: the girl falls in love with a prince who rescues her from the tower. But in this telling the girl - named Parsley for the plant her mother stole - escapes using three enchanted gallnuts. As Parsley and the Prince are running away, she throws each gallnut in an attempt to distract the ogress and they transform into three animals. Though the ogress outsmarts the first two beasts, the last one, a wolf, swallows her whole. 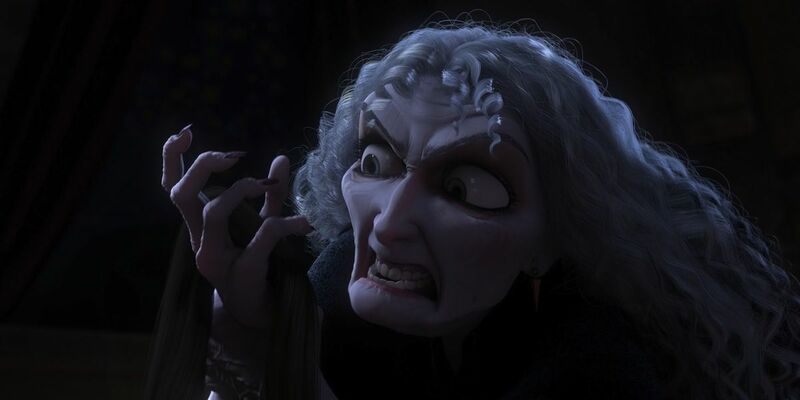 So, by comparison, Mother Gothel had a much more Disney-fied death scene - with no animal violence involved. 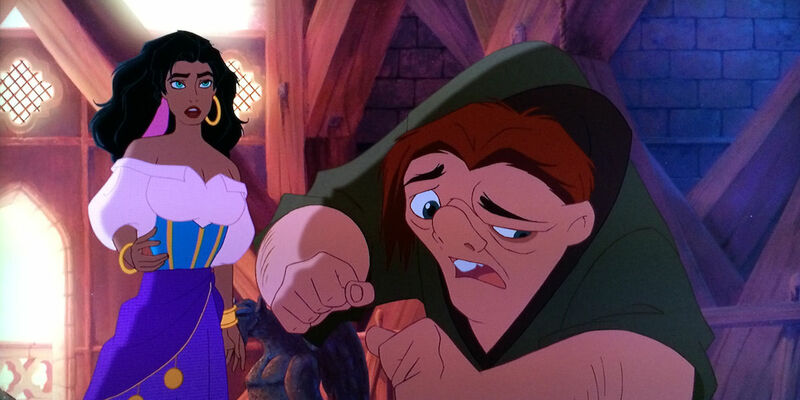 Disney's version of The Hunchback of Notre Dame isn't exactly known for being one of the studio's lighter films since Quasimodo's mother is murdered by Frollo on the steps of a cathedral and the minister of justice later sings about being damned to hellfire. However, Victor Hugo's original story is notably darker, which shouldn't surprise anyone since he also wrote Les Misérables. In the original novel, Esmeralda is charged with the attempted murder of Captain Phoebus and sentenced to death. Although Quasimodo is able to offer her sanctuary in the cathedral for a time, Frollo eventually hands her over to the authorities. When Frollo laughs while Esmeralda is hanged, Quasimodo pushes him off of Notre Dame, then finds Esmeralda's body and stays with her until he dies of starvation. Again, this is a Victor Hugo story, so the fact that everyone is dead or miserable by the end shouldn't be too surprising. Disney's take on the Greek mythological figure of Hercules focuses on the demi-god's transformation from zero to hero (in no time flat). For his love interest, Disney adapted Hercules' first wife Megara into a spunky but conflicted heroine who won't say she's in love. But, by the end of the film, Hercules and Meg ride off into the sunset to live happily ever after. 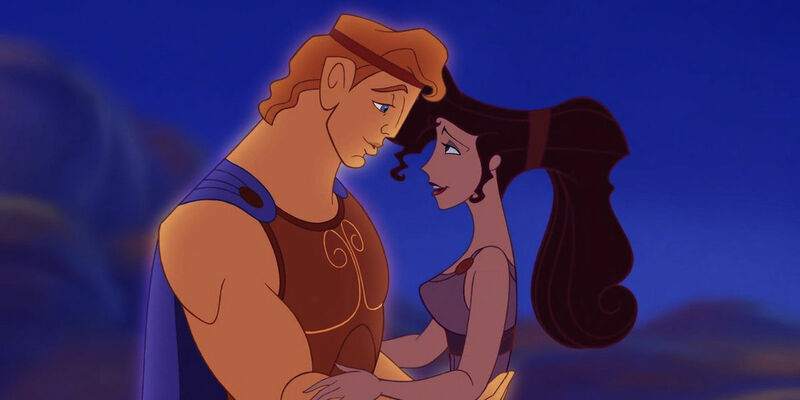 But in the original myth Megara's love isn't won over by the hero, she's given to him as a gift for saving Thebes. Plus, in an even darker turn to their story, Hercules kills their children during a temporary god-induced madness, and in some versions kills Megara as well. In general, it's not the kind of material suitable for a Disney movie. 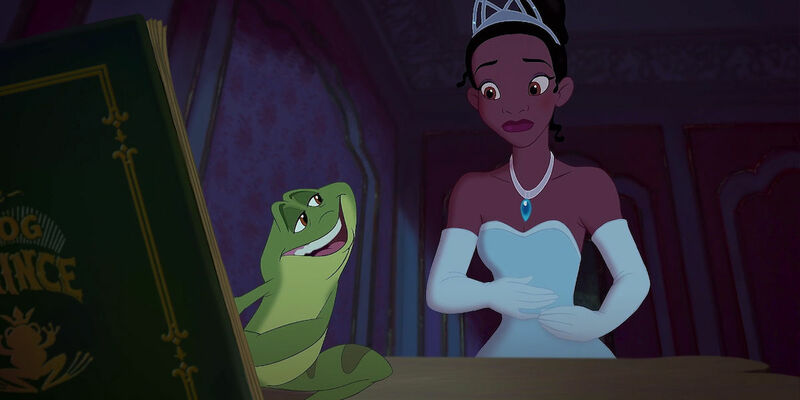 The Disney version of the classic tale of a princess and a frog is changed significantly from the original to be set in 1920s New Orleans and instead of changing the prince back, a kiss turns Tiana into a frog herself. Though true love's kiss does the trick in the end, the original folktale of The Frog Prince sees a number of other methods used to turn the frog back into a prince. In the Brothers Grimm version, the princess throws the frog against a wall, while other tales see the princess chopping off the frog's head or burning its skin, all of which trigger the prince's transformation. We don't want to tell the storytellers how to do their job, but a kiss is definitely a much more kid-friendly way to break a spell. So what do you think of our list? Did we miss any other gruesome stories that inspired your favorite Disney movies? Let us know in our comment section and don't forget to subscribe to our YouTube channel for more videos like this one.